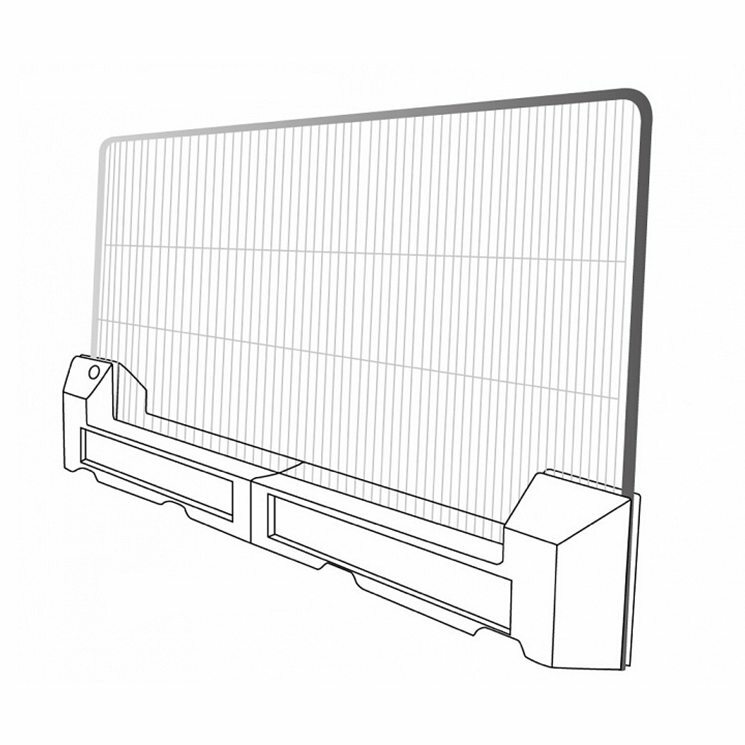 The Slot Block is a water filled barrier, designed to fit an industry standard 3.5 × 2m mesh panel to provide additional security, stability and prevent re-erection and damage to fencing. Designed to reduce the working footprint by 500mm against a standard fence block it is ideal for inner-city projects or where space is at a premium. It rotates at 45 degrees to provide flexibility in set up. 1250 × 150 reflective strips and lights can be added for increased visibility.